Up to a billion people are affected by severe brain disorders worldwide, according to the World Health Organization. Obama's BRAIN Initiative has awarded a total of $2.27 million to four teams of neuroscientists at UC San Diego, to support their research into a diverse variety of brain disorders. Since its launch under the National Institutes of Health (NIH) in 2014, Obama's BRAIN Initiative has presented more than $6 million to UCSD's teams of neuroscientists, according to UCSD. 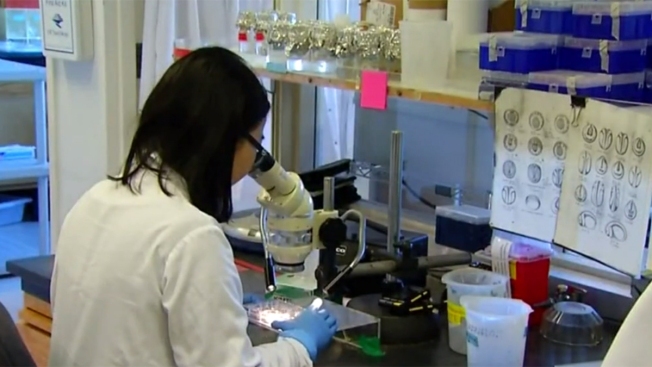 UCSD officials say the research contributes to an effort to find treatments for brain disorders such as Alzheimer's, schizophrenia, autism, epilepsy and traumatic brain injury. Their findings have the potential for widespread application across the globe. The UCSD neuroscience projects that will continue receiving funding from NIH include the following: Revealing the Connectivity and Functionality of Brain Stem Circuits, Non-degenerate Multiphoton Microscopy for Deep Brain Imaging, Classifying Cortical Neurons by Correlating Transcriptome with Function, and Optogenetic Mapping of Synaptic Activity and Control of Intracellular Signaling. Their research will explore detailed maps of circuits in the brainstem, laser power to allow deeper brain imaging and create molecules that test for communication between neurons in certain brain circuits, according to UCSD. They will also use new tools to visualize neurons in the brain and identify how individual brain cell activities are linked to specific genes. Researchers at UCSD hope these projects will lead to a new field -- Neuro-technology -- which will be similar to biotech and could bolster new companies and economic growth. The award is a testimony to the strength and leadership of the university's role in basic neuroscience research, said UCSD officials. The university's neuroscientists are also receiving funding from Cal-BRAIN, a state-funded program that supports the federal BRAIN Initiative in California. The research's potential is particularly compelling when considering that up to one billion people are affected by significant brain disorders worldwide, according to the World Health Organization. With this additional funding, neuroscientists will attempt to speed the development of new brain technologies, said UCSD officials.